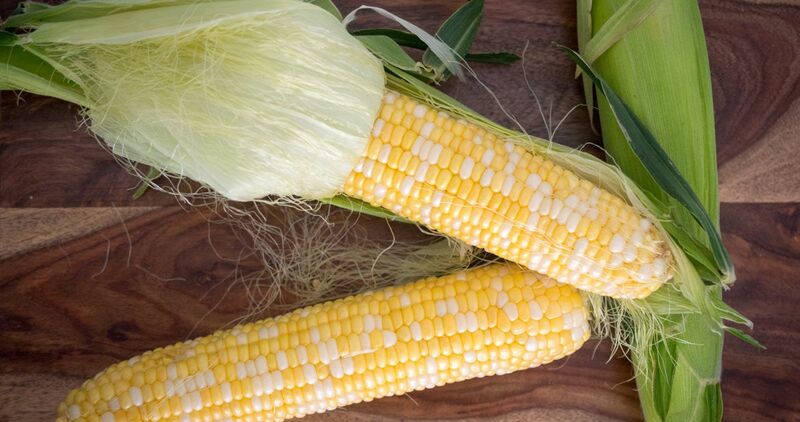 Sweet, fresh corn on the cob is a classic taste of summer. Slathered with butter, sprinkled with salt and pepper, freshly picked corn brings a smile to everyone’s face. Every week or so during the summer, I’ll stop by my favorite farm stand for some local corn that was picked that very day. When summer is over, fresh local corn disappears. 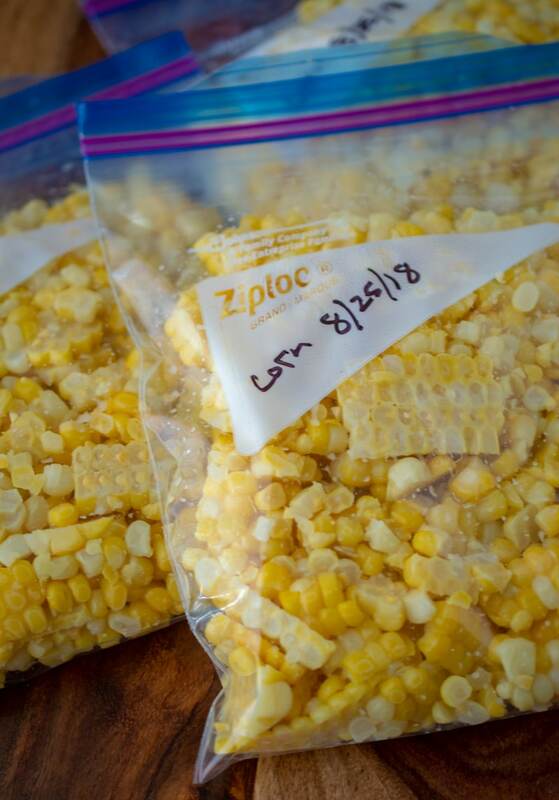 Luckily, it’s easy to blanch and freeze corn to preserve the taste of summer for the cold months to come. I learned how to freeze corn from my mom. Growing up in a small town with plenty of farms nearby, we spent summers canning, freezing and drying local produce. A lot of it was grown by my grandfather, who loved his vegetable garden and fruit trees. Making freezer corn is a simple process. Start by shucking the corn, or removing the husk and corn silk. If you have kids, this is a good job for them. At least that’s what my mom seemed to think when I was growing up, because she had me and my siblings shuck a lot of corn! While you are shucking the corn, put a large pot of water on to boil. I would suggest using your biggest pot for this. The one I used turned out to be a little too small. 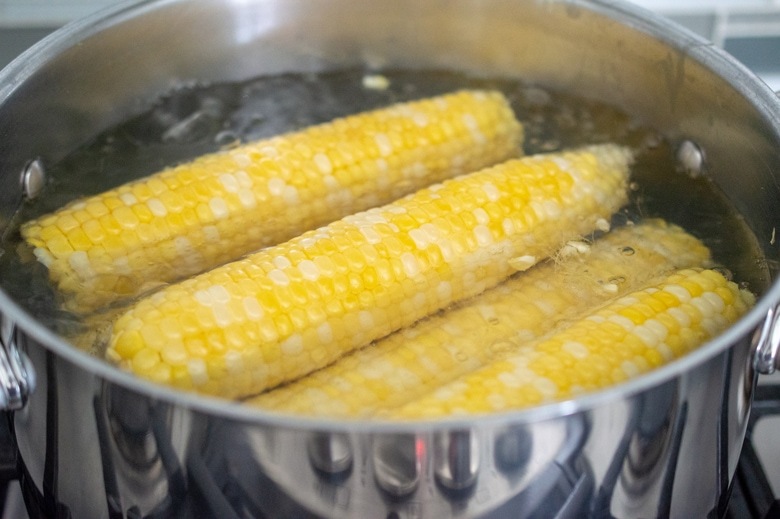 Once the water is boiling, use tongs to carefully add the corn cobs. Start a timer for six minutes. Don’t wait for the water to come back to a boil before starting the timer. You only need to blanch the corn, not fully cook it. 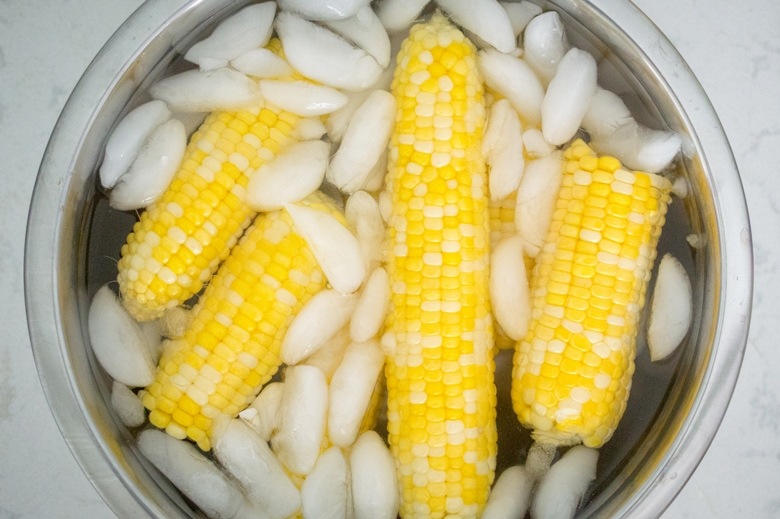 Blanching is not 100 percent necessary – you can simply cut raw corn kernels off the cob, bag them, and put them in the freezer. You can even freeze the whole cob if you want. I prefer to blanch corn before freezing. Blanching the corn preserves its flavor and texture, and it will kill any germs that are potentially on the corn kernels. With any kind of food preservation, it’s important to make sure your work surfaces, equipment, and hands are absolutely clean. Another advantage of blanching the corn is that it will keep its flavor longer in the freezer. 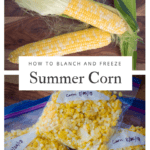 Blanched corn will stay fresh in the freezer for about ten months, while raw corn will lose lose quality after six months. While the corn is boiling, prepare a big bowl of ice water. After the corn has been in boiling water for six minutes, use tongs to dunk it in ice water. This stops the cooking process and preserves the corn’s texture. After a few minutes, the corn will be cool enough to handle, and it’s time to cut the corn kernels from the cob. I use an electric carving knife for this. I don’t use my electric knife every day, but when I need to cut a large quantity of food, it comes in handy. I use it for jobs like cutting corn off the cob, slicing a whole loaf of bread, or carving a Thanksgiving turkey. If you don’t have an electric carving knife, you can use a regular serrated knife. 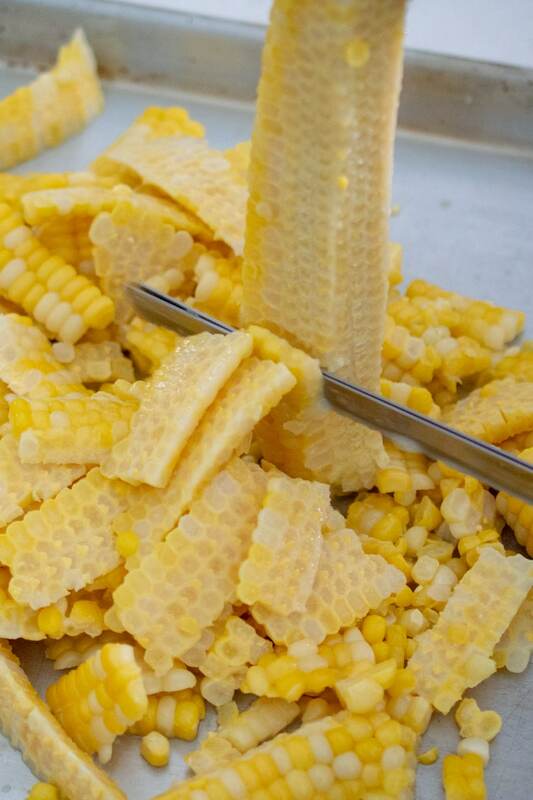 Cutting the juicy kernels from the cobs is the messy part of the process! Wear an apron. Don’t try to cut 100 percent of the corn from the cob, because you don’t want tough, inedible pieces of cob stuck to your corn kernels. Aim to cut off 2/3 of the corn kernel. Once your corn is cut, you can store it in zipper-type freezer bags. Get freezer bags, because they are thicker and tougher than short-term storage bags. I use my food scale to measure out one-pound bags of corn. It takes four medium or large ears of corn to get one pound of kernels. This is equivalent to about three cups, which is the right amount for a family of four. Press the air out of the bags, seal them tightly, and put them in the freezer. 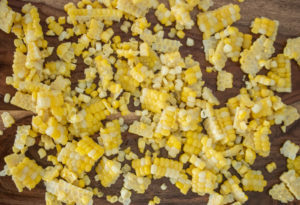 My favorite way to prepare frozen corn is to let it thaw (in the refrigerator or microwave), then sauté lightly in a little bit of butter and olive oil. Sauté just until the corn is heated through. If you cook it too long, it will get tough. I love having fresh summer corn stored in the freezer to eat when corn season is over. Frozen corn from the supermarket is fine, but fresh, locally grown produce is so much better! Learn how to blanch and freeze corn, and preserve that fresh, sweet corn-on-the-cob taste. Freezer corn brings you the taste of summer all year long! Remove the husks and silk from the corn cobs. Cut off any brown or mushy spots. Use tongs to place the corn cobs in the boiling water. Set a timer for six minutes. You do not need to wait for the water to return to a boil before starting the timer. Once the corn has been in the boiling water for six minutes, use tongs to transfer it to the ice water. Leave the corn in ice water for about five minutes or until cooled. 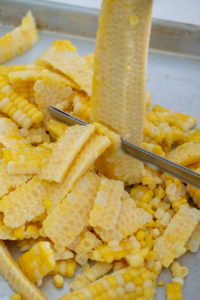 Cut the corn kernels from the cob by placing each ear of corn vertically on a cutting board or baking tray, then cutting from top to bottom with a serrated knife or electric carving knife. Aim to cut off 2/3 of the corn kernel so you don't have pieces of cob stuck to the corn kernels. 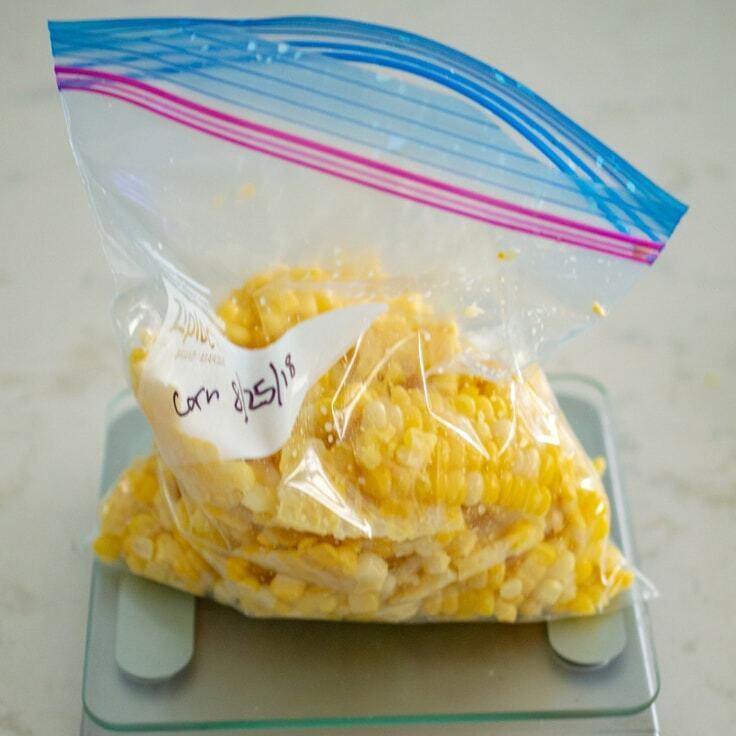 Using a food scale or measuring cup, place one pound or 3 cups of corn in each freezer bag. Four medium/large ears of corn will yield one pound of kernels. Press the air from the bags, seal them tightly, and place in the freezer. 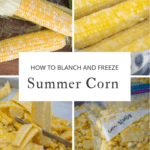 Blanched frozen corn will stay fresh for up to ten months.